Stats GOOGLE MONTHLY VOLUME, GOOGLE CPC, RANKING DIFFICULTY have been 'Waiting for Results' since mid-October. Currently, if you try to open a link in the Pardot Lightning App in a new browser tab or window, the resulting embedded.pardot.com page will 404 because we do not allow direct access to the embedded domain. On a campaign's Usage data table, we display email_source data based on a template (assigned to the specific campaign) that's been sent in an Engagement Studio program. The campaign cannot be deleted due to this. When calling batchUpsert using API and with only an email address present as a field value, the record is always inserted instead of updated when "prospect_id" or "crm_fid" is not present in the fields. An Upsert will result in an update, so batchUpsert should behave similarly. If a user sends an AB test email, the A and B versions will appear in the marketing calendar. However, the winning version does not. 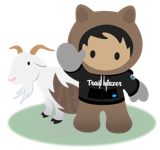 Users may receive multiple location activation emails when using Single Sign On in Salesforce, usually caused by having multiple salesforce.com windows/tabs open.